For students with $10,000s in student loans, it can seem like your home financing options are almost non-existent. You’ll be happy to know that isn’t the case. You can still apply for an FHA loan. 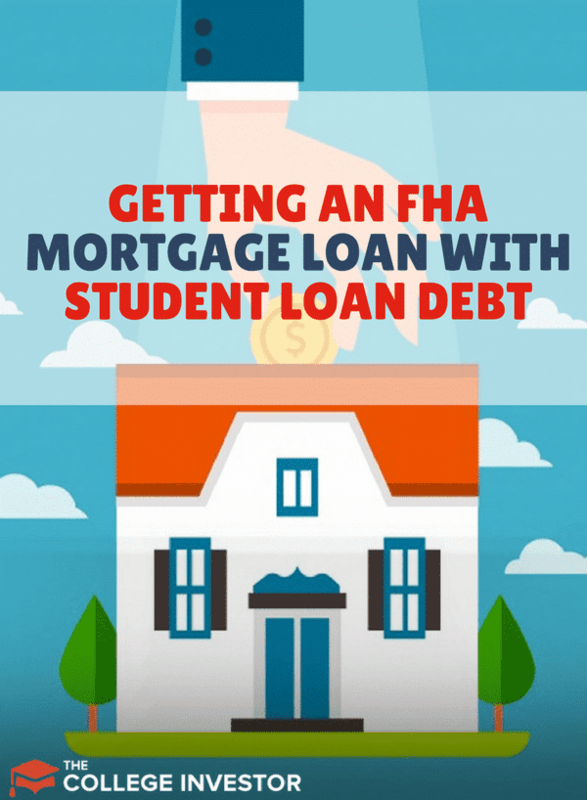 In this article, you’ll learn how student loan payments affect FHA loans and how you can best position yourself for approval. As an example, say you earn $5,500 per month. You have the following payments: a car note of $300, credit cards totaling $600, and students loans of totaling $350. The total debt is $1,250. DTI equals $1,250/$5,500 = 23%. When lenders look at DTI, many consider anything at or below 43% as good. This can vary among different lenders but 43% is a good rule of thumb. With a 23% DTI, you’d be in good shape. However, one thing is missing — your house payment. Add a monthly payment of $1,500 and the debt now jumps to $2,750. DTI increases to $2,750/$5,500 = 50%, pushing this borrower well above the 43% guideline. Ultimately, this means the borrower will likely have a difficult time getting a home loan, no matter what kind it is. In this case, the best thing to do is pay down some debt and/or make more per month in an effort to get the monthly total debt payment below 43%. Of course, there are many other factors that come into play. One is your credit score or FICO score. It’s good to know what this number is. Lenders might not approve anything below a 680 credit score. If you apply for a loan, unknowingly with a 640 credit card, you’d be rejected. As lenders check your credit, they’ll pull your credit report. This “hit” or “hard” check can further reduce your credit score by placing new inquiries on your credit report. Knowing you don’t have the minimum score needed can save you grief while you build up your credit. FHA loans, as you’ll see, work a little differently when it comes to calculating DTI. DTI is still critically important for FHA loan approval. Once student loans are factored in, DTI requirements become more strict. Using the above example, the student loan monthly payment is $350. Let’s say the total outstanding loan amount is $50,000. 1% of $50,000 is $500. In this case, $500 will be used instead of $350. That brings total debt along with the $1,500 mortgage payment to $2,900 and DTI to 53%. 3% more doesn’t seem like much but depending on the difference between the monthly student loan payment and the 1% calculation, it could be enough to push DTI above what lenders are willing to accept. 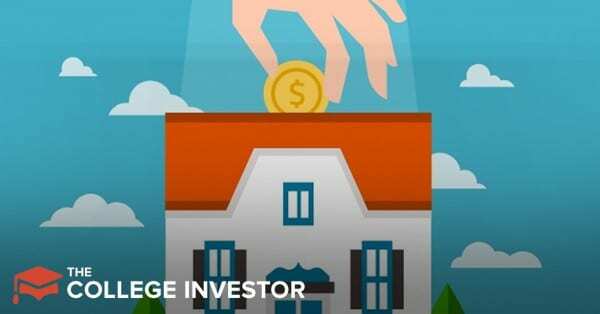 “This can push the debt-to-income ratio to a level where purchasing a home with an FHA loan is out of reach until that balance is reduced,” Justin Derisley, vice president of mortgage lending with the Troy, Michigan, office of Guaranteed Rate, told MortgageLoan.com. As mentioned earlier, the way to get around this problem is to lower your debt by paying it down. If you’re on a student loan payment plan, it doesn’t make much difference. You can read more about payment plans and how to get a mortgage while on them here. At the end of the day, because of DTI, an FHA loan may not be in the cards for you. That doesn’t mean you can’t get a home. A more traditional mortgage will use your student loan monthly payment rather than 1% of the outstanding amount in its DTI calculation. However, your down payment will be higher and credit score requirements may be more strict. Once the higher down payment is factored in, it may not outweigh the benefits of paying down more debt. Both routes will require raising more cash. But consider that paying down debt will also positively impact your credit score. Depending on how close you are to getting below a 43% DTI, paying down debt might be the quicker path than trying to save for a full 20% down payment. Whether you want to get an FHA Loan or other mortgage loan type, it's important you shop around. We recommend using LendingTree as a good starting off point to get the loan you need. You can also look at online mortgage lenders like Lenda, but they don't operate in every state.